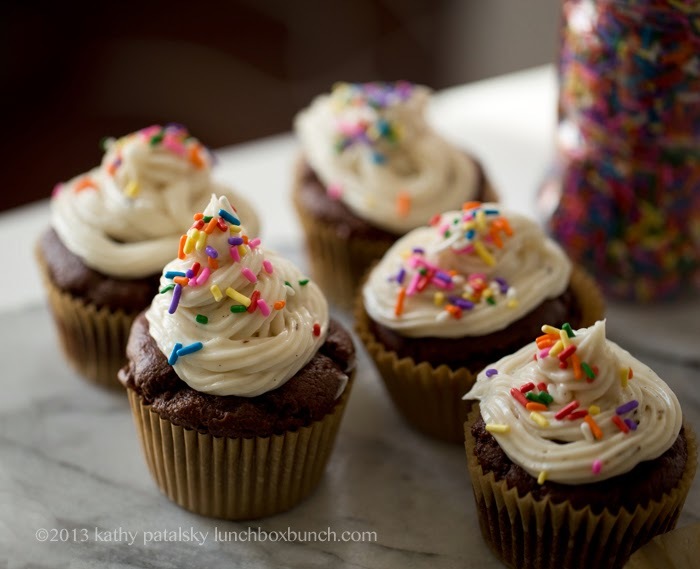 Chocolate + Vanilla Bean, Tuxedo Cupcakes with Sprinkles on Top. This feels good. Getting back to things. To normalcy. Exploring this new daily life without Nelly. But I won't lie, this isn't easy, last Thursday is still so fresh in my mind, the heartache still raw. But getting back to all my favorite things like writing, cooking, photography, getting back to life, helps me see the light through all this sadness. And with each step forward I become more hopeful that my happiness, though changed, will be completely renewed. Thank You. I want to first off send you all huge hugs of thanks and love for all the comments here on my blog, email, Instagram, Facebook and Twitter. To be honest, I have not been ready to sit down and read through the many blog comments on my Nelly post yet. I will when I am ready. I adore the stories you share about your own pets and I want to give my full head and heart to reading them. And to reply to each and every comment because I am so incredibly grateful for them. Seeing how much you guys loved Nelly, a kitty you have never met, fills me with so much joy. Back to Happy. I get worried sharing all this sadness on my blog, my little special happy place online. But don't worry, this is my joy-filled kitchen spot, a place where healthy and happy recipes are shared, and I am so glad to come back to it. I intend on washing these blogpages with sunshine-filled, hopeful, fueling, wellness-infused, happy recipes. Because as a quote I read said, "Happiness is a form of courage." And being sad after a tragedy like this is indeed so easy. But clinging to happiness is what is best for my soul. And what Nelly would want! This event has made me cherish my blessed life and happiness even more. So I can only help but share that with you guys via recipes and photos. Healthy, happy, vegan recipes, I have now deeply found are also very healing. First Steps. Finding my way back to happiness after such a sad few months, and tragic end, is not easy. After Nelly's passing last Thursday morning, the hardest parts over the weekend were "the firsts." The first time I opened the front door to a silent apartment. No kitty to rush and find and snuggle. The first time I woke up on Friday morning to a silent bedroom. No sleeping, curled up kitty cat on my chest of let. My fuzzy paws to burrow my face into to start the day. The first time I made dinner on Saturday night without a curious little kitty sniffing the air and rubbing my leg in the kitchen as I scurried around. The first time we went out to brunch on Sunday morning, we normally rush home to spend the rest of the day with Nelly, but we realized that there was no purring kitten to hurry home to. The first time I slammed the door too hard and didn't have to say "Sorry Nelly!" and apologize for the loud noises. The first time the late morning sunbeam hit her favorite pillow and she was not there to sprawl out in its warm rays, and roll her head back in glee. The first time I got into bed without a kitty to quickly follow me, bounding on the soft comforter, getting all cozy, burrowing her head and paws into my ankles. The first time (right now) as I write this blogpost without a sleeping kitty beside me, snoozing and purring the day away, in her bed on my desk. The firsts are the hardest part. So then what? How do you move on when your perfect little happy life is suddenly shattered? Mourning is a crappy process. You are supposed to just sit still and soak in all that has happened, but for me I just cannot stop moving. Because when I stop moving I start thinking too hard. And when I start thinking too hard I get sad. And when I get sad I start crying and when I start crying it is hard to stop. But then some blessing of gratitude breaks into my sorrow and I feel so thankful for the life I had with my husband and Nelly. Our little perfect triangle. I was with Nelly for twelve years, and our trio for eight. I am so so grateful for those happy times. I do not think I will ever stop missing Nelly. And that is OK. The things I miss, those gifts of love, light and happiness Nelly brought us will never ever go away. And that makes me incredibly happy. So yes, I'm easing back into things here in recipe land. Because I know Thanksgiving is quickly approaching so I want to be able to be here for you guys as you prepare plant-based, vegan dishes. I adore Thanksgiving because it was always the first holiday ever where I openly talked about my "new" vegan diet to my family members. It was when I really "outed" myself as a vegan and put myself out there to possible ridicule and opposition. The truth was though that most everyone was accepting and instead of being negative about veganism, they were really just quite curious. I know I was lucky, I know some newbie vegans have family members who oppose the idea of plant-based living, but like anything, remember that you are not alone and everyone is different. Surround yourself with people (on or offline) who support you and all those naysayers simply will not matter much anymore. Tuxedo Cupcakes. 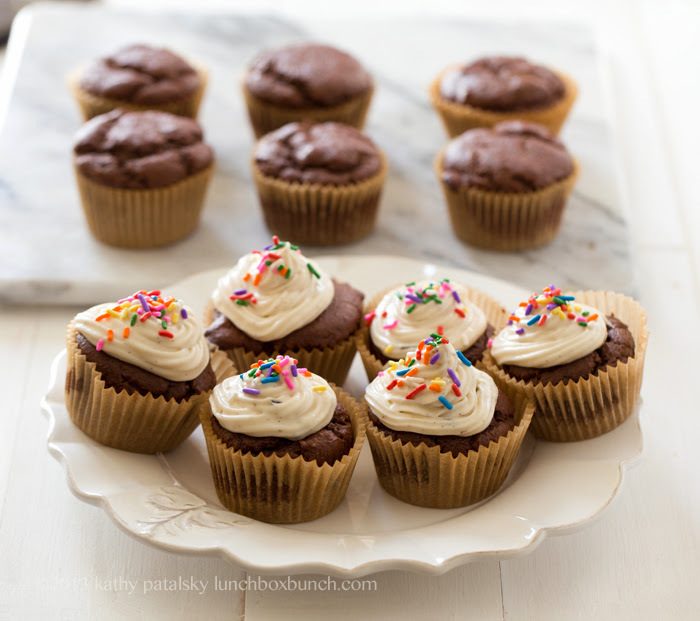 These cupcakes are great because they have a sturdy yet soft chocolate base and fluffy, rich vanilla bean frosting. 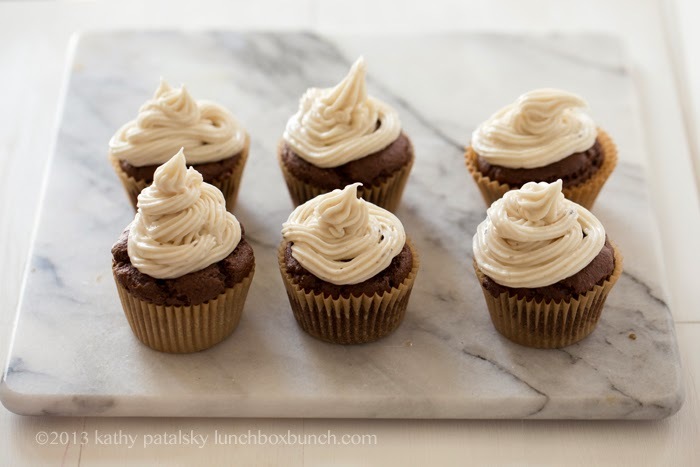 So simple and classic, an always welcome and elegant-looking treat for birthdays, special events or for any day you crave a vegan cupcake baking session. 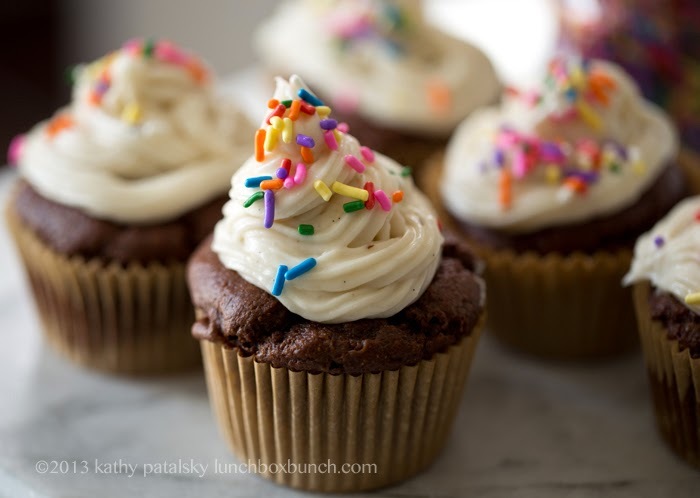 The rainbow sprinkles on top are optional but quite fun. You can find Sprinkelz brand in most Whole Foods stores and also Lieber's brand is the one I used. Both are vegan. 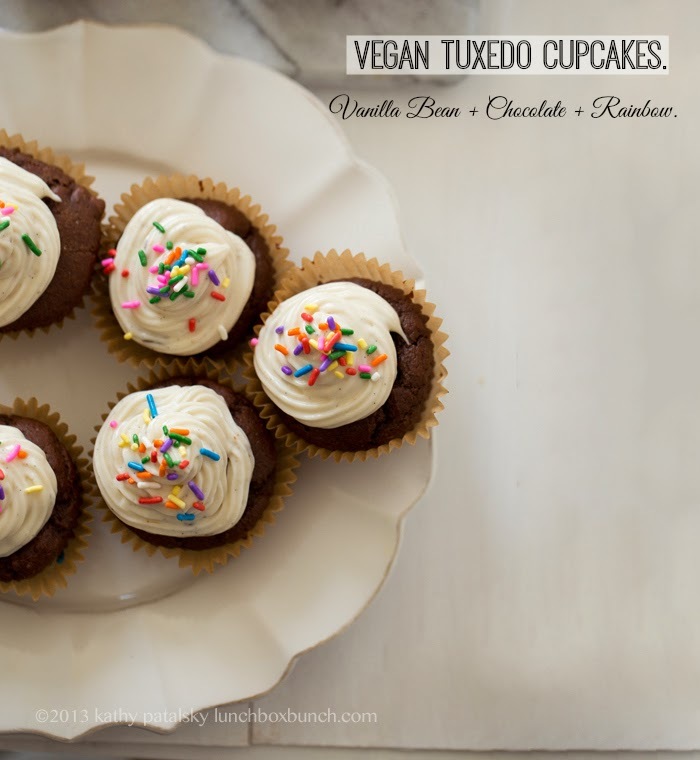 These "tuxedo" cupcakes have fluffy chocolate cake and creamy vanilla froting on top. 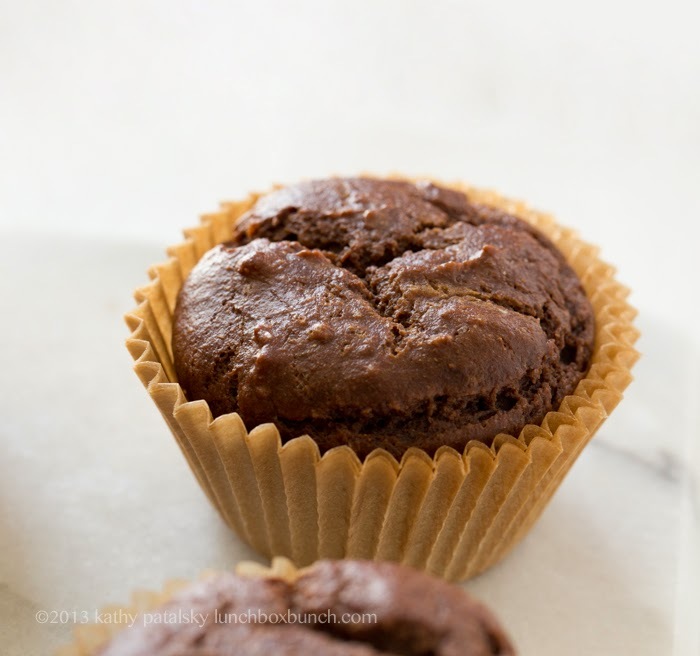 Preheat oven to 400 and add liner to muffin tin or grease well. Combine all dry ingredients in a large mixing bowl. Stir and set aside. Add all wet ingredients to a blender and blend until smooth and whipped. This helps smooth out the silken tofu. 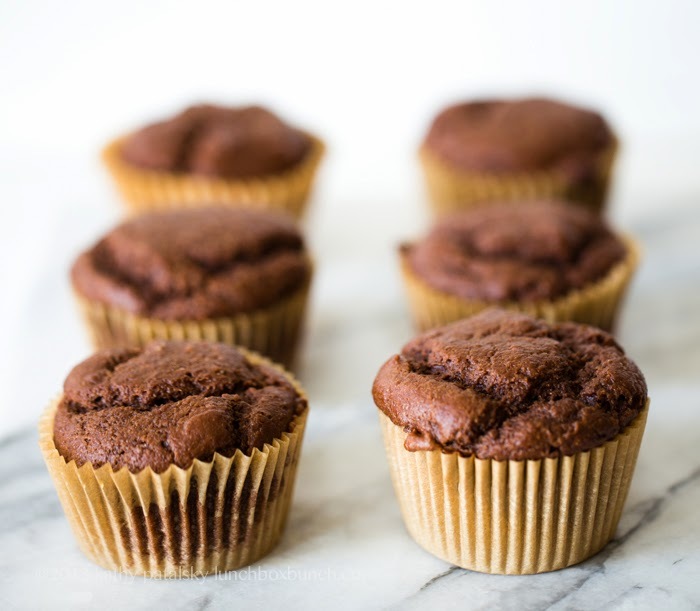 Pour the wet into the dry and using a beater, whip the batter until silky and chocolate-y. Fill tins with batter and place in oven. Bake at 400 for ten minutes and reduce heat to 350 for another 8-10 minutes. 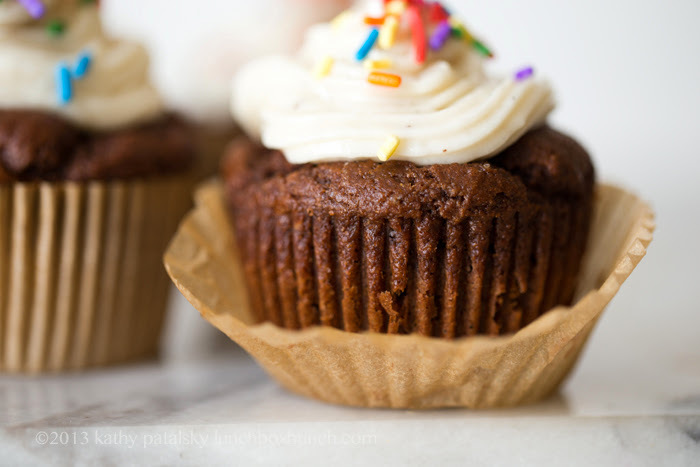 Remove cupcakes from oven and set aside to fully cool. 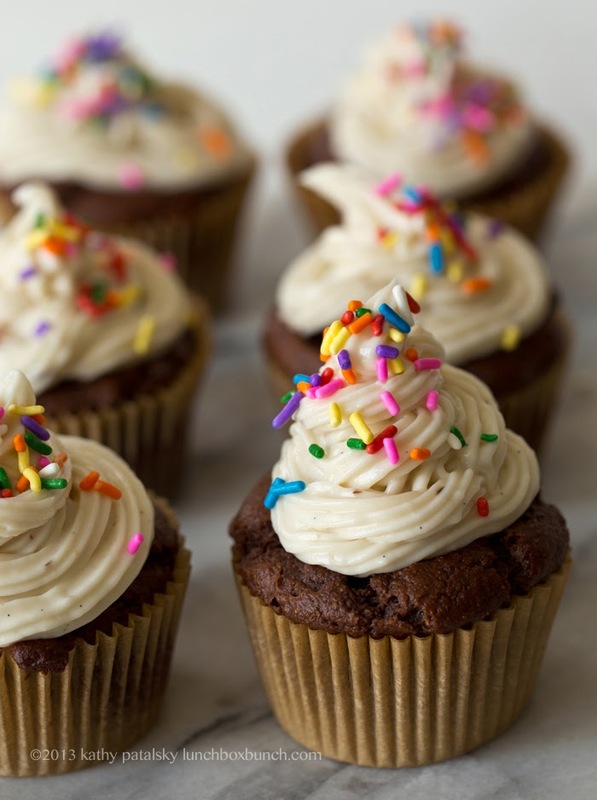 When the cupcakes are fully cooled and ready to frost, you can start your frosting. Using a hand beater, blend the cream cheese with the vanilla and coconut oil. You want to make sure that the cream cheese is at room temperature and not chilled otherwise it will harden the coconut oil upon blending. Last, bend in the powdered sugar until smooth and fluffy. 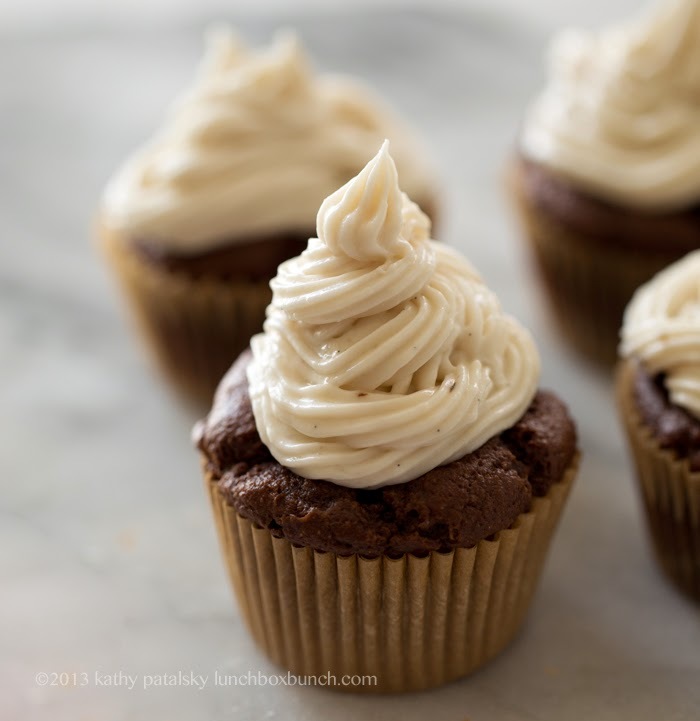 You will probably want to place your frosting in the freezer for a few minutes to help it firm up a bit for frosting. 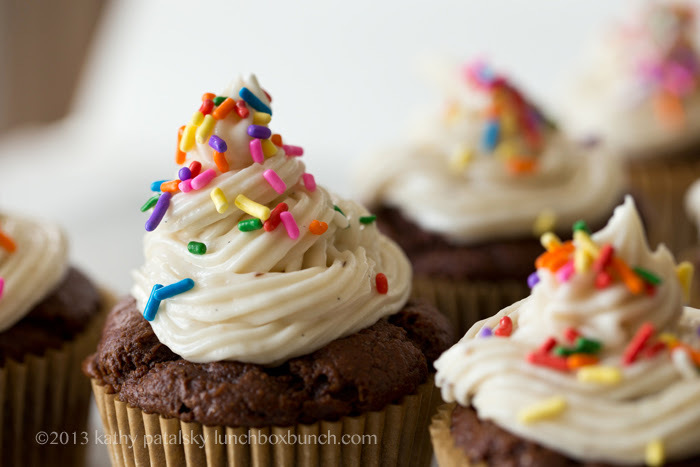 Spoon frosting into a pastry bag and apply frosting using a decorating tip. Or you could apply using a spoon if needed too. 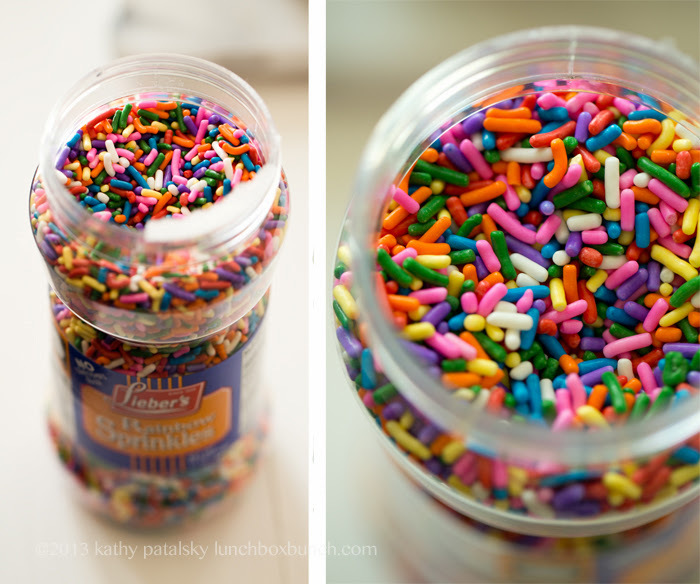 Add sprinkles on top. 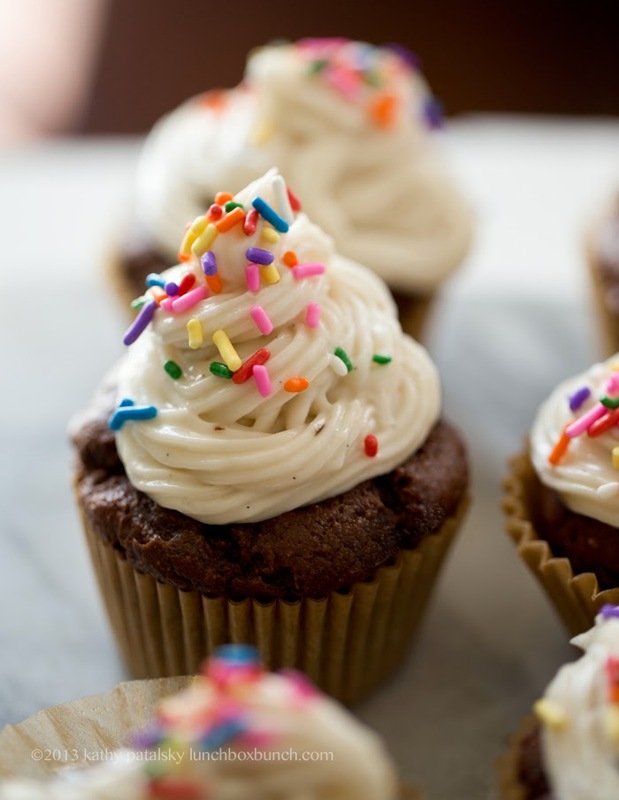 Serve cupcakes right after frosting for best flavor and texture. They will lose some fluffiness if you place them in the fridge too long. 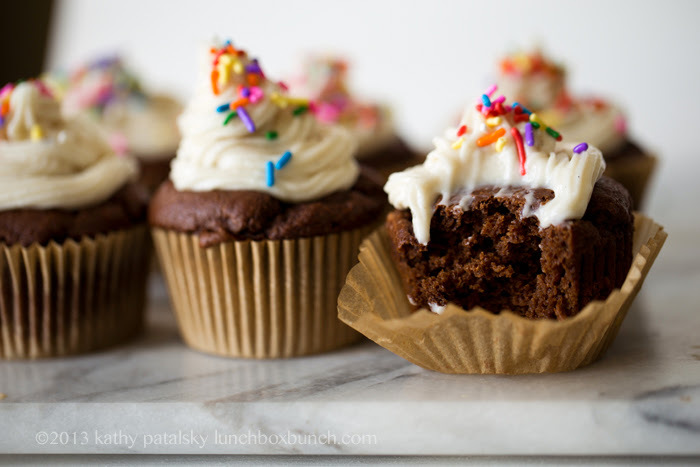 Cupcakes are usually best same day. leftover can be stored in the fridge for 1-2 days.